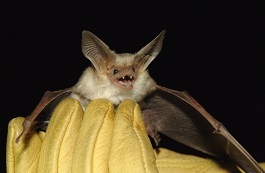 SCOTTSDALE, Ariz. — Bats get a bad rap, but the Arizona Game and Fish Department (AZGFD) aims to change that by highlighting all the good they do — such as eating pesky mosquitoes and flies — during a series of bat monitoring surveys Friday, July 21, July 28 and Sept. 15. The workshops and surveys run from 7:30 p.m. to 10 p.m., cost $25 per person and will be held at Needle Rock Recreation Area northeast of Scottsdale. During the events, participants will help capture and identify local bat species alongside AZGFD biologists as part of the department’s overall bat conservation and monitoring efforts. AZGFD biologist and Watchable Wildlife Program Manager Randy Babb will provide a dynamic evening experience educating participants about Arizona’s 28 species of bats, while netting over the Verde River. Attendees will help identify bats captured and collect important data before the animals are released unharmed. Babb has worked on numerous studies and projects on small mammals, birds, fish, reptiles, amphibians and invertebrates in Arizona, New Mexico, the southeastern U.S., Mexico, Central America, Vietnam and southern Africa. Space is limited for the events so visit https://www.register-ed.com/programs/arizona/179/slug:world-of-wonder-25-events/agency:33 to register. Participants should wear long pants, close-toed shoes, a hat and insect repellent, and bring water and a headlamp or good flashlight. To reach the events, head east on Rio Verde Drive to Needle Rock Road and head north 2.5 miles until you reach the fully developed recreation area.